Gratitude is something that gets a lot of buzz and for good reason. 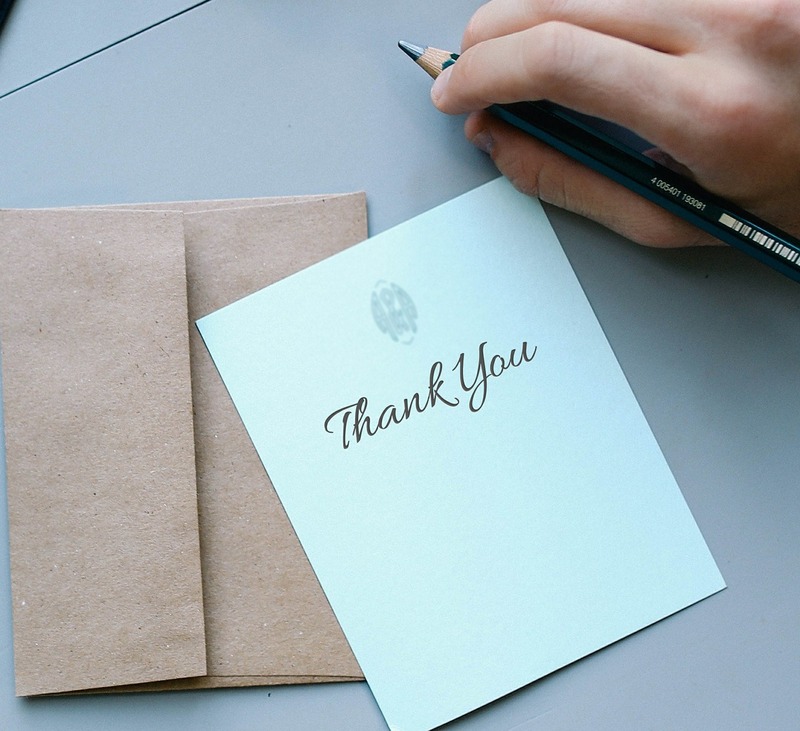 Evidence has shown that practicing gratitude can decrease stress, anxiety, and depression, while improving sleep, relationships and overall feelings of well-being. Those are pretty amazing results for something that is simple to implement and practice. What we don’t hear as often is practicing gratitude during tough times – the challenges and stressful moments that come our way. 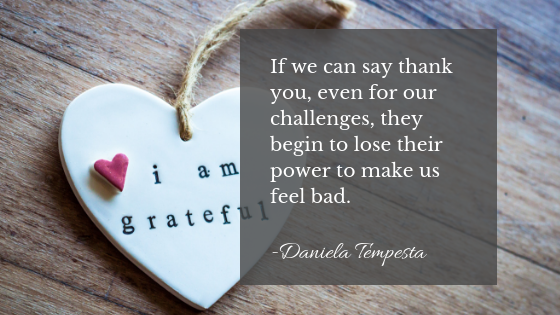 This is when it can be difficult to practice gratitude, but if we can say thank you, even for our challenges, they can begin to lose their power to make us feel bad. This doesn’t mean we have to like what is happening. It just means that we accept that this is our reality instead of struggling against it. When we can say “I don’t like this experience, but thank you anyway,” we take a step back from trying to control outcomes. This is important because the struggle to control the uncontrollable actually increases our distress in a time when we are already struggling. Think back on some of the more challenging moments of your life – a breakup, losing a job, an illness, etc. At the time, it was likely hard to make sense of these painful events, but ultimately they opened the door for something else to come into your life, something that is much more aligned with what you really needed. So embedded in the struggle was an opportunity and maybe even a gift. We cannot always know why things happen, but we can use gratitude as a strategy to open ourselves up to the possibility that, perhaps, behind the pain, something good awaits us that we just can’t see yet. So I encourage you to try saying thank you even in moments of struggle. It may feel odd at first, but over time you’ll find the relief that comes with it. 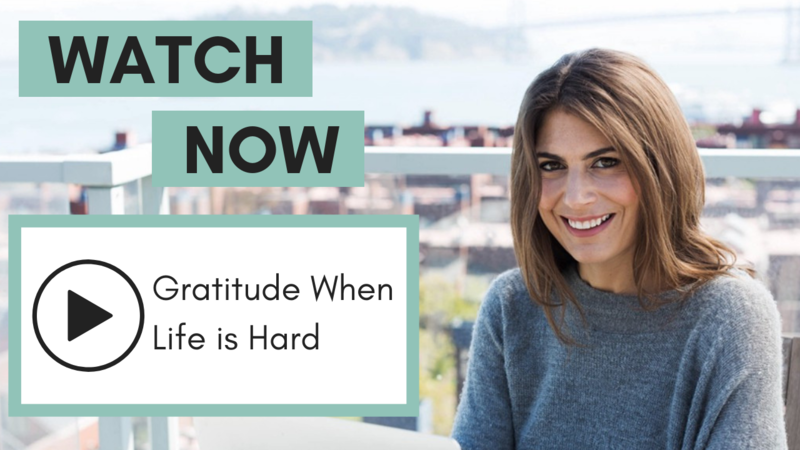 How are you using gratitude to find joy in the midst of a difficult time? You can use this form or comment on my Facebook to connect with me and share your experience.